Avillion Private Collection is in business of marketing a collection of private homes and villas located in various locations within Asia for short stays. Avillion Private Collection leverages on the group’s proven track record and hands on experience in hotel management and global travel distribution, to deliver a unique experiential stay for our client. Avillion Private Collection offers you their Best Rate Guarantee (“BRG”) says that if you find a lower rate within 24 hours of booking your reservation, Avillion will match that rate. Our Collection at Kuala Lumpur in KLCC Apartment, KL Pvillion Apartment, KLCC Apartment: K Residences, KL Sentral Penthouse, KL Sentral Apartment: Suasana Loft. Suasana Loft is a sleek high-end condominium fully furnished to a chic finish. It is in Kuala Lumpur’s most convenient location closest to the central transportation hub of KL Sentral. This chic yet cozy condominium has two bedrooms with unsuited bedrooms, equipped with rain showers and a drop-down pool to soak your travel weary feet. Suasana Loft is nearer to NU Sentral mall, a shopping paradise offering new levels of experiences in shopping, entertainment and dining. KL Sentral the integrated transportation hub at your doorstep opposite the condominium, where you can take the LRT, KTM, taxi or bus anywhere in Kuala Lumpur and beyond.Reward yourself with exclusive private apartment all in Avillion Kuala Lumpur retreat. If you were looking a villa nearer to the beach, Villa Cinta Bali is the perfect place to choose. Avillion Villa Cinta is a private estate located on Sanur beach, south east Bali. The Villa offers exclusive privacy, with direct access to the beach. Sanur is a small coastal town famous for its exotic beaches, and its laid back atmosphere, warm and gentle hospitality, filled with Balinese tradition, culture and religion. Religious ceremonies happen every day in Bali, and Villa Cinta guests are lucky to witness some of these when ceremonial procession make their way to the beach nearby. Avillion Admiral Cove is one of the Private Villa Port Dickson that is a hotel group under Avillion Private Collection. 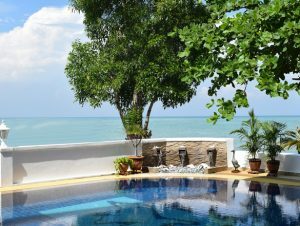 The Villa Admiral Cove is located by the waterfront of Port Dickson, Negeri Sembilan. A stunning two-story English inspired architecture, the baby yellow mansion stands out against the blue waters. Villa 818 located nearer to city centre of Port Dickson, accord its guests all the facilities of the resort and access to the multiple award winning Spa at the resort. Villa 818 is fully-furnished along modern lines. The resort also offers international fare at its three restaurants and drinks at the bar. Come escape the hustle and the bustle of city life. For more information about Private Hotel Collection, you can visit our official website at http://avillionprivatecollection.com.